Every year, Animal Planet offers the Puppy Bowl as counter-programming to the sports game with the CTE and the grunting and such. In addition to the lil’ puppers and their tiny, squidgy faces, this year’s games will include a sloth. Hm, what? An unpopular opinion I have is that I don’t think sloths are cute. I find their long knife claws to be scary and things that move slowly really grind my gears. 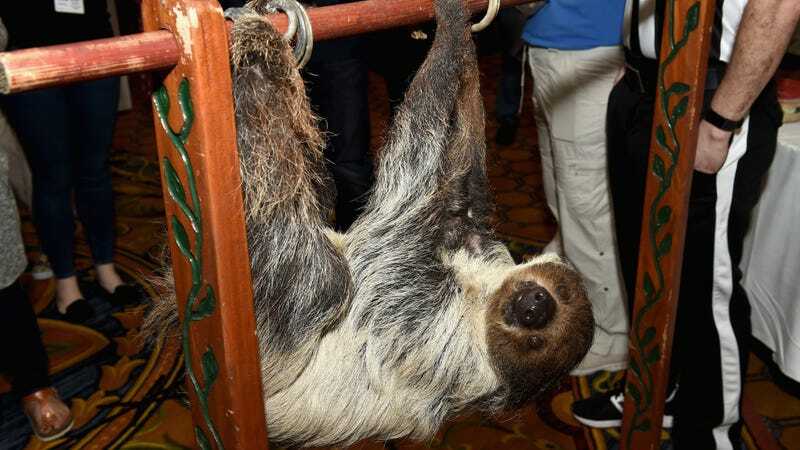 However the idea of a sloth being subjected to whatever happens on the gridiron of Animal Planet’s Puppy Bowl sounded like a a bad deal for everyone involved. I personally believe that all puppies are created equal, and I would never deign to say one is better than the other, but I would like to draw attention to Mr. Wigglesworth, below. What a good Mr. Handsome! Such a squishy boy. Yes, you’d have to clean between the fat flops of his flesh folds with a q-tip because he’s a Sharpei, but wouldn’t it be worth it? Life is short. Adopt a wrinkly puppy. Thank you.